Three years out of high school yet I dress like a school girl more than ever - probably primary and secondary to be honest, considering the pair of denim overalls I have been wearing everywhere remind me of Mary-Kate and Ashley in their toddler years. I can't resist pinafores, overalls or playsuits though because of the convenience of getting both bottoms and at least part-top. I also can't resist collars. As you will probably learn over the course of my blogging..
LOVE THE OUTFIT! Its AMAZEBOZ! Playsuits and jumpsuits are in right so u have really done the fashion universe proud (okay... a bit random!) anyway love yuor blog and I know follow you! Lovely outfit sweety! Fanned + Hyped you on lookbook! Lovely outfit! Like how you incorporated the sweater into the jumper! All in a Soiree, sparkles of events and design, has joined Facebook! Great outfit! I love how you layered your pieces - looks so trendy and edgy! Such a lovely look! 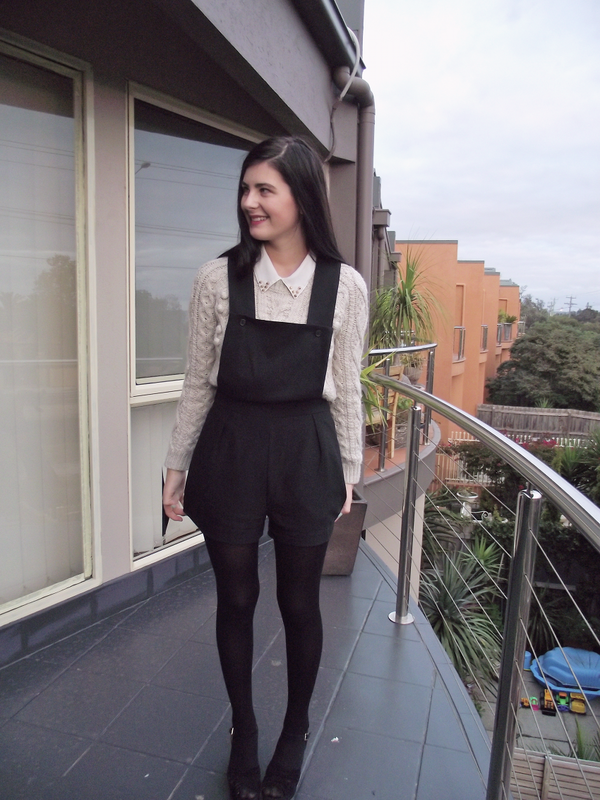 I would never have thought to wear a sweater underneath a pinafore. cuteee overalls! love the knit! Alexa Chung eat your heart out!